P.S.A.Varadarajan Dental Clinic is one of the reputed dental clinic in Salem, Tamil Nadu with all the advanced techniques in modern dentistry under one roof. All of us wakes up from bed without fresh breath. This is mainly because bacteria keep alive in the mouth at night and during sleep, saliva produces less in our mouth. Microbes live on our tongue are responsible for bad breath. The microbes present very enormously in our mouth are the main causes for bad smell. These bacteria produce microbes releases a large number of waste compounds. Actually, you do not have to worry about this problem. 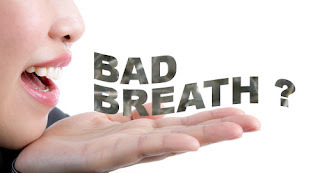 There are mints,gums and mouthwashes available that help you get out of our bad breath. In addition to this, toothbrush and toothpaste also help to sort out our bad breath. If Bad breath still occurs, then it is very essential to take necessary steps to avoid the problem. Bad Breath is usually occurring mainly due to mainly 4 reasons. 1.Poor oral hygiene in the sense that not brushing your teeth regularly can help bacteria grow rapidly. 2.Dry mouth inhibits fresh breath because saliva production is necessary for clearing away bacteria from the mouth. 3.Bacteria damage out tooth enamel and cause tooth decay. This small amount of tooth decay can cause bad smells. 4. Gum disease can be symptom of bad breath. If you have gum disease, then you need to take care of tooth properly. 1. Do Brushing and flossing your teeth regularly. 2. Always clean your mouth using water well after you eat something. 3. Clean your tongue and give the same care as you give to your teeth. 4. Drink lot of water after your meals. Dehydration can cause bad breath. 5. Using mouthwashes help you to get out of the problem at some extend. 6. Eating a diet low in carbohydrates and try to include fresh food in your meals. 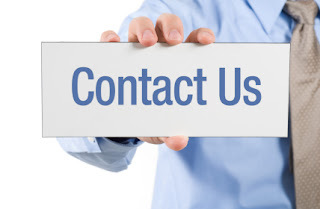 If all above problems fails, then it is necessary to get a consult with a dentist. Dr. Suresh Kannan is one of the Best Dentist in Salem in P.S.A Varadarajan Dental Clinic, Provides treatment for all kinds of dental problems. Good read! Thanks for the sharing! The ideas are all very practical! I think I will find a way to figure out how to keep myself writing. Invisalign: A Discreet and Comfortable Teeth Straightening Treatment !! !